For your off road vehicle. Representing recreationists, working hard to "Preserving our Natural Resources for the Public, instead of from the Public." Has great list of links. Page with local Tillamook Forest information. 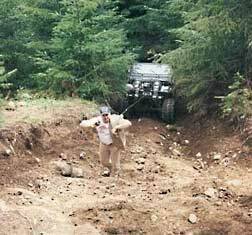 Site has other off-road info, too. Features a wrap-up of the 2005 Team Trophy Challenge held in May. 2005 TTC article. Lots of pictures. For so many of your off road needs.